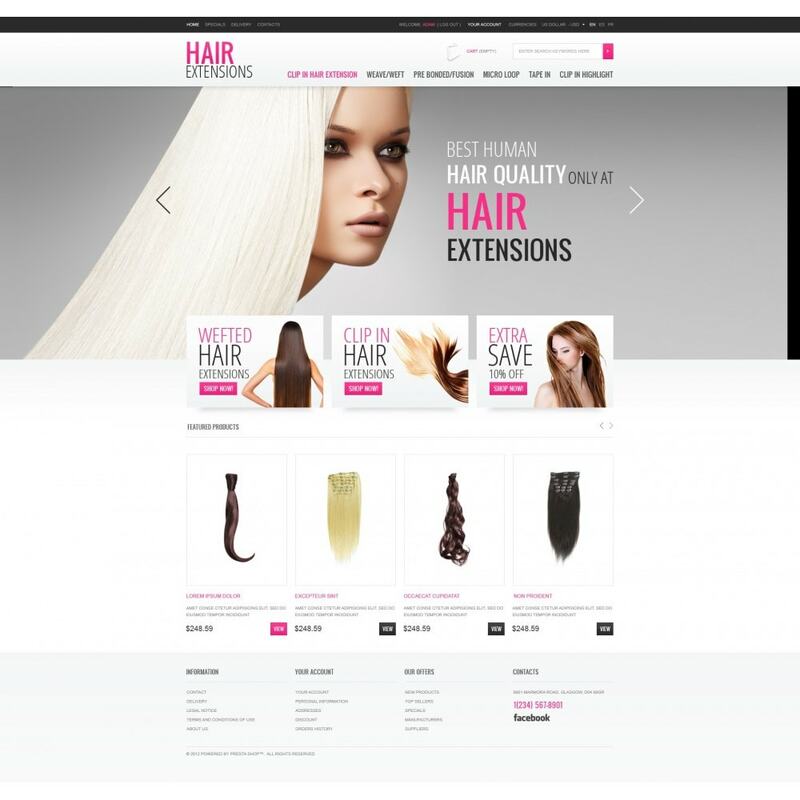 Modern beauty industry provides us multiple solutions for image perfection. Just present them online and start to earn money. The oversized carousel slider will draw customers' attention immediately. 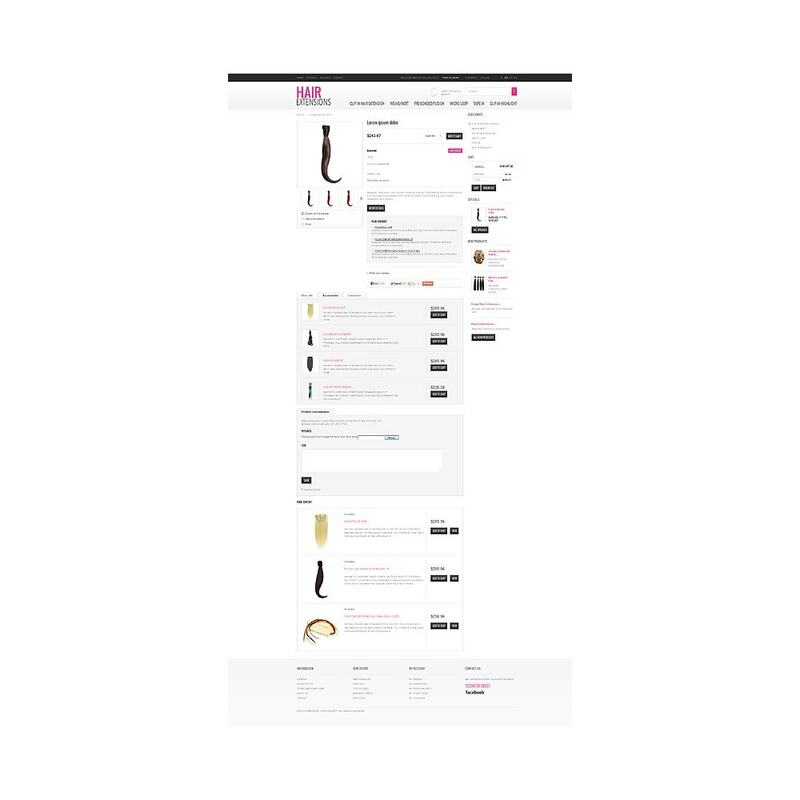 Featured products are placed into the smaller slider in content area. Three promo banners make the navigation more visual and stimulate buyer's activity. 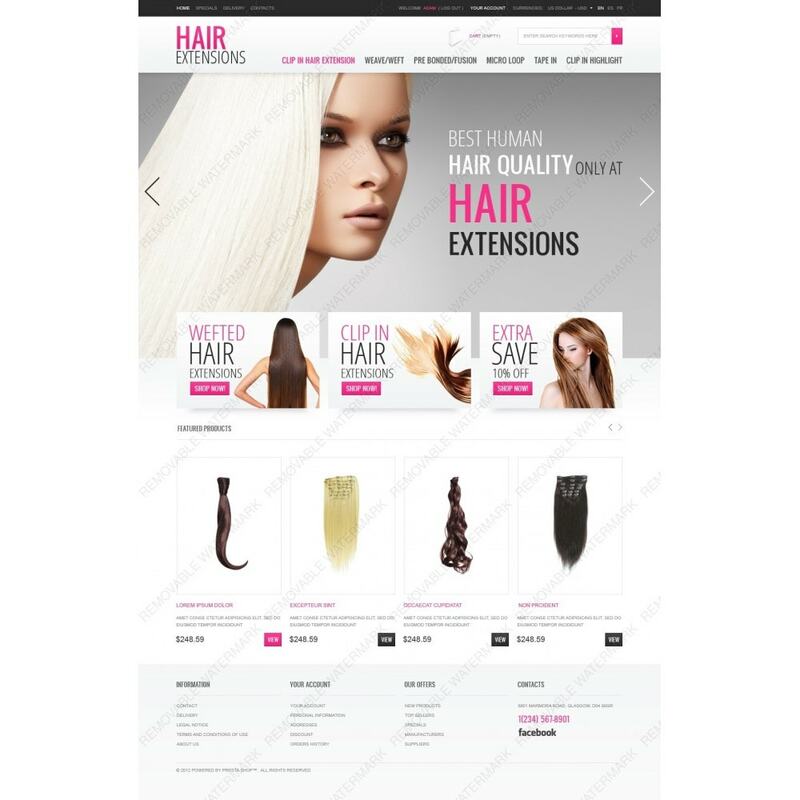 The design was intended for online store offering wigs, hair extensions, skin care and beauty products.